I've been riding quite a bit the last few months, inclement weather or not. Since I've completed the bike, dubbed with many names over the duration of the project, I've managed to put about 5K miles on the hybrid chassis, testing every aspect of it that I can. I'll detail the work I've put into it, but first I wanted to share a wonderful photo I took the other night on Geary Blvd in San Francisco. I've been watching my friend become more and more advanced as a photographer, and this inspired me to pull out my "big gun", a Canon Rebel XT that I'd bought in '05 in preparation for my travels overseas. I found my tripod in the boot of my car, and the last few nights have been an re-exploration into framing, composition, and overall picture quality. I've mostly used my big gun for capturing high definition photos of GP bikes, so I could examine and study the detail changes between iterations (see top right corner), but now I'm enjoying using it more for artistic expression. Once the hardware is paid for, digital photos are basically free, so it's a fairly cost effective hobby and it's yet another way to transmit emotion and information. Thanks for showing me some new techniques, Brad! Such expression, artistry, and symmetry in this Praying Mantis pose . . . I'm immediately struck by the similarities to the design of my mirrors, and how they flow straight into the bend of the handlebars. It's this "hooked wing" aspect (or as I prefer to think of mantis' - half bent elbows on strong forearms with downward drooping hands), that captured my interest in the species. Because I can relate! Photos are from a bike competition I entered in late November, which provided a concrete deadline for me to get the bike back on two wheels. BAM! And so I shall name you . 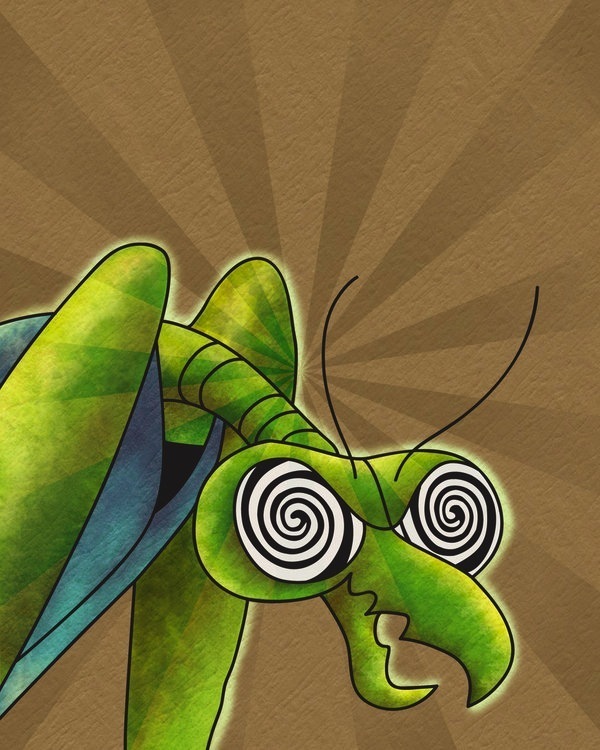 . . ZORAK! Time permitting, I'll get some more build shots up, including the single sided rear end conversion I made to fit with a single nut forged aluminum Marchesini.